'One' we can all afford? Another reason to wait before buying an Xbox One? Update: A Microsoft exec has quashed rumours that the company has plans for a cheaper Xbox One. 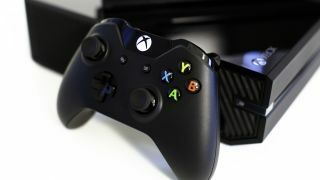 In response to a question about the possibility of a lower-priced console, Microsoft's chief of staff for devices and studios, Aaron Greenberg, said on Twitter: "No, you cannot believe everything you read on the internet.."
Microsoft is reportedly planning to release a cheaper version of its Xbox One console, according to reports on Friday. A 'senior publishing source' told VG24/7 that a new iteration of the console will arrive later this year, at a lower price point than the current suggested sale price of $499/£429/AU$599. If the company follows through and drops new hardware this year through, it would also drop the price of the existing Xbox One come to match the less expensive Sony PS4, the report claimed. The report follows rumours this week claiming Microsoft plans to go public with the white version of the console later this year, which may hit the market with or without an optical drive and a bluetooth adapter. Launching a disc-less console would be one way for Microsoft to go in terms of lowering the initial outlay for gamers getting into the next-gen. The company confirmed last month that it considered dropping discs completely for the Xbox One, but decided against it in the run up to launch. Also rumoured this week was the launch of an Xbox One dashboard update in March aimed at fixing problems with Party Chat and other issues with Xbox Live. Would you snap up a downloads-only console if it meant saving a few bucks on the hardware itself? Or will you always want the opportunity to pick up a cheap used game and slap it in the drive? Let us know your thoughts in the comments section. Fun Fact: Microsoft considered making the Xbox One disc only as late as summer 2013!